A young unknown enterprise can revolutionize manufacturing process of a supercar? This is what the new startup company Divergent Microfactories plan to do. They claim having created “a manufacturing platform that radically reduces the materials, energy, and costs of manufacturing”. The technology of this innovation is based on Nodes which are 3D-printed aluminium joints which allows to connect and assemble carbon fiber tubing into the whole chassis of a car. It is said that using Nodes the chassis is even up to 90% lighter and stronger! An epitome of the revolutionary technology presented by the Divergent Microfactories if their prototype supercar entitled Blade. This is a futuristic automobile powered by a bi-fuel CNG/gasoline engine developing up to 700hp. Thanks to the Node-enabled technology the car weighs only 1400 lbs (635 kg)! Thus the power-to-weight ratio is an amazing 2lb/hp (0.9 kg / 1hp). If this is true, the estimated 0-100 km/h acceleration time of circa 2 seconds looks quite realistic.. In addition to the plan to build a limited number of the Blade model the DM company aims to offer their revolutionary technology to the small teams or microfactories, as they call them, to develop individual automotive projects based on the technology of rapidly popularizing 3D-printing and their own Nodes solution. 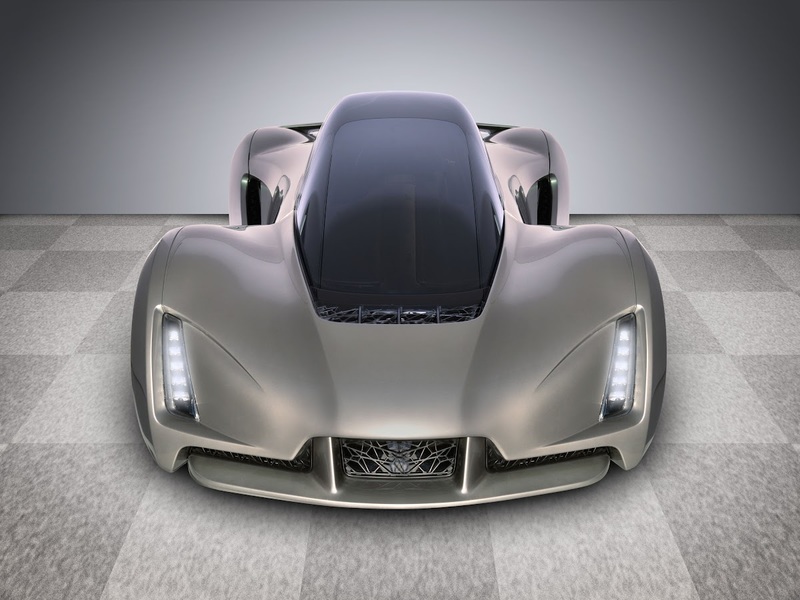 SAN FRANCISCO, Calif – June 24, 2015– Divergent Microfactoriestoday unveiled a disruptive new approach to auto manufacturing that incorporates 3D printing to dramatically reduce the pollution, materials and capital costs associated with building automobiles and other large complex structures. 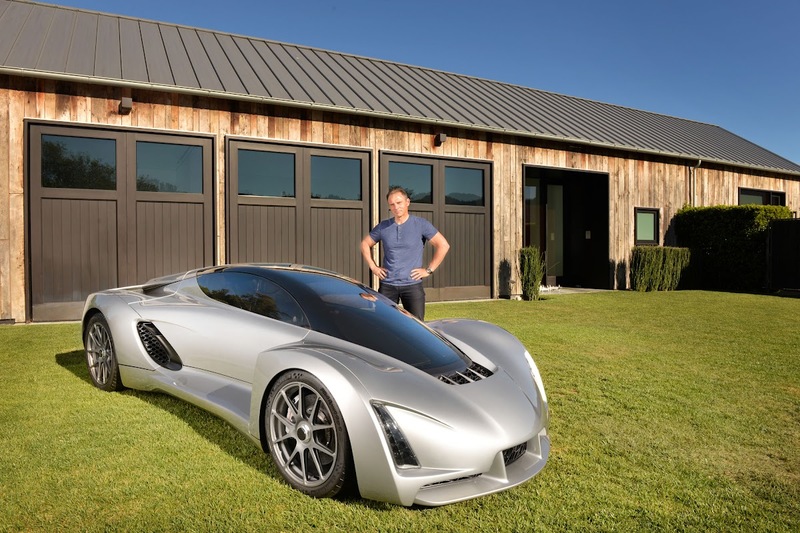 Highlighted by Blade, the first prototype supercar based on this new technology, Divergent Microfactories CEO Kevin Czinger introduced the company’s plan to dematerialize and democratize car manufacturing. Divergent Microfactories’ technology centers around its proprietary solution called a Node: a 3D-printed aluminum joint that connects pieces of carbon fiber tubing to make up the car’s chassis. The Node solves the problem of time and space by cutting down on the actual amount of 3D printing required to build the chassis andcan be assembled in just minutes. In addition to dramatically reducing materials and energy use, the weight of the Node-enabled chassis is up to 90% lighter than traditional cars, despite being much stronger and more durable. This results in better fuel economy and less wear on roads. 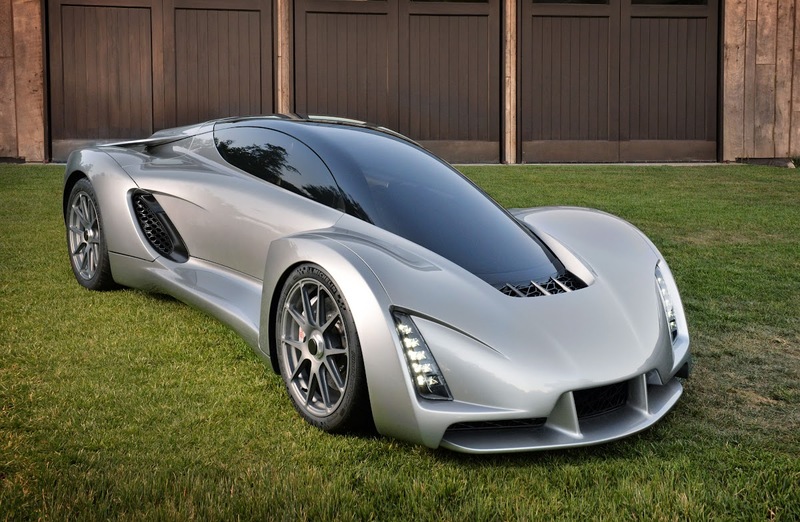 The centerpiece of the Divergent Microfactories announcement is Blade, the world’s first 3D-printed supercar. Designed and built using Divergent Microfactories’ technology, the prototype is one of the greenest and most powerful cars in the world. Equipped with a 700-horsepower bi-fuel engine that can use either compressed natural gas or gasoline, Blade goes from 0-60 in abouttwo seconds and weighs around 1,400 pounds.Divergent Microfactories plans to sell a limited number of high-performance vehicles that will be manufactured in its own microfactory. In addition to unveiling its technology platform and prototype, Divergent Microfactories announced plans to democratize auto manufacturing. The goal is to put the platform in the hands of small entrepreneurial teams around the world, allowing them to set up their own microfactories and build their own cars and, eventually,other large complex structures. These microfactories will make innovation affordable while reducing the health and environmental impacts of traditional manufacturing.